Thinking About Switching Your EHR System? Why, When and How to Successfully Replace Your EHR? Although the EHR adoption rate has more than doubled over the past decade, significantly bolstered by passage of the HITECH Act in 2009, satisfaction with EHR systems is definitely trending downward. A study published last year by the U.S. National Library of Medicine showed that a shocking 67% of physician respondents were dissatisfied with their EHR and 31% were actively considering switching EMR systems because of their dissatisfaction. Over 30% considered dissatisfaction with their EMR a primary contributor to physician burnout. That's a lot of unhappiness—and a lot of practices potentially switching EHR vendors this year. If you're in that situation yourself, there's much to consider before actually making a change, both in terms of challenges and opportunities for enhanced productivity and overall practice performance. What's driving the dissatisfaction with EHR systems? Before you start looking at replacements, it's important to quantify what you really don't like about your existing EHR—and what you'd like to see improve in your new one. All of these reasons and considerations are definitely signs that your practice might benefit from an upgraded EHR—and each presents an opportunity to improve your overall satisfaction with the EHR you ultimately select. Unless you've recently upgraded your EMR system, chances are good you're missing out on time-saving functionality that may also improve patient care and reduce medical errors. Specifically, mobile medicine is transforming the health care delivery system—and if your existing EMR lacks the mobile capabilities your patients and providers want and need, you may be exposed to unnecessary clinical and financial risks. 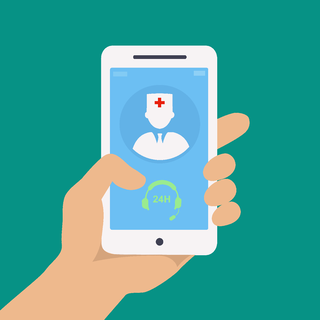 According to a 2015 HIMSS study of mobile medicine, 90% of providers were using mobile technology to engage patients with some combination of an app-enabled patient portal, secure text messaging, telehealth services, or remote patient monitoring, yet just half reported mobile integration with their EHR. Over 80% wanted their practice to integrate and deploy more mobile technology. Mobile integration is just one consideration for switching EMR systems, but it's a big one, especially when paired with a robust patient portal. This feature allows you to order, review, and approve lab tests, and communicate with and respond to patients securely—all from your mobile device and wherever there is WiFi connectivity. Another consideration is whether your new system will give you access to other leading-edge technology and functionality that will continually improve your practice. Cloud-based software-as-a-service (SaaS) solutions lend themselves to the type of nimble response today's rapidly evolving health technology landscape requires. They also tend to be scalable to accommodate changes in your practice structure, a huge advantage as practices grow, add locations, or merge with another practice or health system. And the upgrades are virtually pain-free, especially compared to client-server systems. Many older EHRs also lack the interoperability that helps develop a notion of person-centered health that involves the portability and liquidity of electronic health information so that it can be shared among individuals, providers and organizations. You need to evaluate your own interoperability requirements and if your current EHR does not meet them, it is time to make a switch. The benefits of using integrated Practice Management Software with an EHR are well documented. These have proven to be effective at improving patient care, as well as increasing the profits of those practices who have implemented them by streamlining the claims and reimbursement processes.. If you are still using two different pieces of software, even though they may be interfaced, it is time to evaluate an integrated system. Today's EHR systems have advanced claim-scrubbing features that reduce denials and improve practice revenues. They even have custom reporting tools for performance pay and meaningful use requirements—and many play nicely with existing practice management software. Other features like e-prescribe, and lab and diagnostic imaging interfaces reduce staff time, increase accuracy, and ultimately improve patient flow and provider productivity. With EMR systems, as with most things in life, every opportunity comes with its own set of challenges. In order to reap the rewards that come with switching EHR vendors, you need to be aware of the challenges and potential pitfalls that come with any new cloud-based or client-server EMR system. This is probably the biggest challenge any practice faces when they switch to a new EHR vendor. Although there have been strides in the area of data standardization, especially with the Continuity of Care Document (CCD) compromise, there is still a long way to go. The problem goes back to a lack of standardization in the EHR databases—most vendors do it their own way, despite the Meaningful Use requirement that EHR vendors use standard formats to send and receive data. And that can lead to all sorts of headaches when the time comes to switch EMR systems. Do I own the rights to all the data stored in my EMR? How much of the data is structured versus unstructured? What format is it stored in? Do you have the expertise to assist with data migration? If so, what costs are associated with the extraction, transfer, and loading of my data? Resist the temptation to insist that data in your new EMR is structured in exactly the same way it was structured in your old system. There's a huge amount of complexity and expense involved in that kind of precise data mapping. Keep in mind that you can move a lot of currently structured data, such as medication lists, immunizations, allergies, etc., using the CCD to avoid needlessly complicating the data migration process. In the AAFP survey, lost time and productivity topped the list of difficulties encountered in the process of switching EMR systems, with over 80% of survey respondents calling them either a major or moderate challenge. Again, data migration is going to be a significant time investment—made even more so for practices who choose an EMR system that handles revenue cycle management tasks, as well. This is because there is even less standardization of data on the financial side, so you could find yourself running two systems in tandem, with all services after the go-live date managed on the new system, and those before adjudicated on the old one. That's a definite drag on productivity. Staff training and time to proficiency. Although many cloud-based EMRs look and act like other web applications your staff already uses, there is going to be a learning curve. Provider productivity may take a hit in the early stages post implementation. Actual deployment may require practice down time. There may be some data loss in the data migration, further inhibiting productivity. This is a very real intangible consideration, especially if there is disagreement between stakeholders about the advantages to the practice in switching EMR systems. There can be a sense of frustration and even malaise if the staff isn't as proficient as expected at a certain point in the transition, or productivity sags longer than planned. These frustrations may explain some of the not-so-rosy findings in the AAFP survey, in which, overall, just 43% of respondents were ultimately happy they switched EMRs. Further breaking down the data yields insights, however: Among those who were actively involved in and supported the decision to switch, 61% were happy, while among those who did not have buy-in, just 19% were happy. The key takeaway here seems to be that open communication and stakeholder involvement at every step of the process is essential to the ultimate success of the project. How dissatisfied are you with your current EMR? Ultimately, the decision to switch EMR systems and/or vendors comes down to a balancing act between obtaining the functionality and support your practice needs in a way that addresses and minimizes the challenges that accompany making a change. Clearly defining your expectations—and then managing them through stakeholder buy-in and good practice-wide communication will go a long way toward making your transition a success. Are you moving toward switching EMR systems? Our full-featured, specialty-specific EMR systems are easy to use and give you all the functionality you need to practice medicine and manage your practice workflows your way. 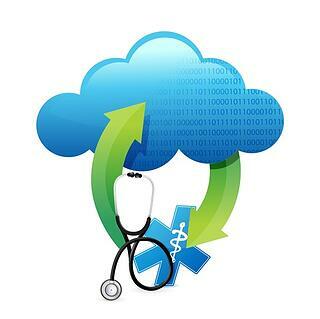 Focusing on the needs of small to medium-sized practices, RevenueXL offers affordable cloud-based EMR solutions that can be deployed straight out of the box or customized to your precise needs, shortening the time to staff proficiency and reducing the drag on productivity after deployment. Give us a call today to discuss your practice needs and to learn more about our specialty-specific EMRs—or schedule a live demo and see for yourself how easy and cost-effective switching to a new EMR can be. 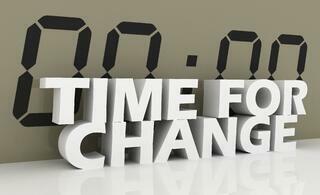 EHR Replacement - 9 Signs That It Is Time To Make The Switch!